MacTrack Legal/iTrack Legal is the best tech and legal practice conference for lawyers who want to improve their use of technology, while learning practice management techniques that can transform their practice and their business. For 2018, the conference will focus mostly on the use of iOS devices, like iPads and iPhones. You'll learn cutting edge techniques that will bring your practice to the next level. Always an interesting mix of practical tips, substantive education, and plain old interesting sessions, this event gathers the most collegial and generous attorneys from across the country (and even overseas) in a fun and information multi-day program. The conference is jam-packed with sessions and extremely valuable 'down' sharing time. The vendors that attend are 'best-in-class' in the lawyer-tech world and bring tools that help you move your practice to the next level. In addition to all of this, the lawyers (and non-lawyers) that attend are a the most collegial in the country, lending their expertise and love of bringing things to the next level with each other. You'll learn as much as from the other attendees as you will from the general sessions.  Friendship and sharing is rarely found in a lawyer-conference like it is at MacTrack/iTrack Legal. Our speakers are the elite of tech and legal experts in their field. Many of them are national speakers and regular presenters at the ABA Techshow, authors, CEOs of some of our favorite vendors and highly successful fellow attorneys, divulging all their best kept secrets on how to run a successful lawyer-tech practice. There are 4 major theme parks for you to visit during your MacTrack/iTrack Legal trip! The event also takes place during the Epcot Food & Wine Festival, which is walking distance from the conference location. In addition, the annual dinner is always one of the biggest hits where attendees have a blast talking shop and just relaxing and having fun! MILOfest/Mac Track Legal started 10 years ago, when the iPhone was barely a device worth carrying (apps had just been released). Since then, mobile computing has grown from the novelty of checking email to the full-fledged capability to run a practice on a blank-screened tablet. Where are we going next? How can you future-proof your practice for the next 10 years. Lawyers all have “things to do”. Keeping track of those things, including items that you have delegated to others, has created a cottage industry of apps and strategies. It can be confusing as all get out. Tech guru & certified practice management coach Mark Metzger will help you make heads and tails of it all so you can increase productivity and profitability in your practice. Too often we believe that we must make monumental changes in our practices to see real results in growth, efficiency, or professional satisfaction. The truth is that by making small changes, using the concept of Kaizen, we can effectuate massive positive change. In this session, you will learn how to use those techniques for yourself, and how to instill a culture of change around you - which will lead to even greater improvements. It is extremely rare to find the practice that runs completely without input from, and collaboration with, others. Whether yours is a transactional practice or a litigation practice, you likely have to share your work with other…humans. Working exclusively (or mostly) on an iPad or iPhone can make that a challenge. Here you will learn tricks and tips to making collaboration a breeze. Apple’s newest operating system (iOS 12) for the iPhone and iPad will incorporate technology from the awesome Workflow app, in a new application called “Shortcuts”. Shortcuts makes it possible for you to say to your phone “Lumos Maxima” and turn the flashlight on (for you Harry Potter fans), but it is capable of so much more. More and more, court filings are required to be done electronically, and most of our “reading” is done on our devices. Even judges are known to highlight and track briefs on iPads…so what are the best practices for writing meant to be read on a mobile devices? There’s an art to this that speaks both to effective marketing, and persuasive advocacy. This session will help show the way. Two years ago, Mark Metzger introduced the MacTrack Legal audience to mindfulness as a practice (and life) advantage. Most of that session laid the groundwork for why this habit is effective, and urged everyone to try it in their own lives. This session takes the next step in teaching you practical tips to incorporating a mindfulness practice, including common obstacles and how to overcome them. Interested in being happier and more effective in your day-to-day life? This session is for you. Marketcircle founder Alykhan “AJ” Jetha has seen the business landscape transform from one where workers had to be in the same place at the same time all of the time, to one where workers are capable of performing meaningful tasks from anywhere. Marketcircle works so that it is largely a de-centralized company - but that comes with challenges. How can you structure your practice/business into something profitable, effective, and fun when everything can be done from anywhere? Learn from someone who has been there and done it. Where we can go professionally and personally is often constrained only by our imagination and our limiting beliefs. Victor Medina has transformed his practice to one where he can work “iPad-only”. The iPad is the sports car of computer, and Victor likes driving sports cars. So, what are the essential tools to making that work in your practice? Bring your own iPad to this session because there will be lots of practical tips for you to use immediately. Poor time management habits lead to stress, frustration and a constant feeling of being out of control. It is possible for you to take control, gain more freedom and manage your time well…if you have the right tools and strategies at your disposal. This session will offer strategies that will supply you with everything you need to increase your productivity, decrease your stress, and truly go home on time. The Mac-iOS ecosphere offer tremendous efficiency and productivity shortcuts that can translate into more money in your pocket, or time at home. The problem is, too many times we've heard of a tip in passing and forgotten about it. Or had a tip once, but lost it in a software upgrade. This tune-up session will get you up and humming like a well-oiled tech-lawyer machine. Certified Practice Advisor Atticus Inc.
Katie Floyd is a litigator by day, but she's perhaps best known on the Internet for her side gig as the co-host of the Mac Power Users Podcast distributed through Relay.fm. Mac Power Users teaches listeners how to get the most from their Apple technology with productivity focused topics and workflow guests. Her co-host David Sparks and Katie have been very fortunate the show has been well received. They've recorded over 300 episodes and years later is still regularly featured as a top technology podcast in iTunes and other podcast clients. As Mac Power Users has grown in popularity Katie has become a more frequent speaker and consultant on Apple and all sorts of technology related topics. She has presented sessions for the National Business Institute, Macworld Expo, and the American Bar Association among others. She was a contributor to Macworld Magazine (her mom actually had her first article framed and it is up on the wall) and she writes a monthly article for ScreenCastsOnline Monthly Magazine. As her time allows Katie enjoys speaking to groups and consulting. Mark C. Metzger is an attorney in solo practice in Naperville, Illinois (west suburban Chicago), where his practice is focused on three areas: advising businesses on Internet and technology-related contracts and issues; estate planning up to and including Medicaid spend down avoidance; and real estate transactions. He is a recovering trial attorney, which saw him defending and trying cases in fifteen other states and allowed him to see the inside of more airplanes than any one person should have to endure. He is also a recovering programmer. 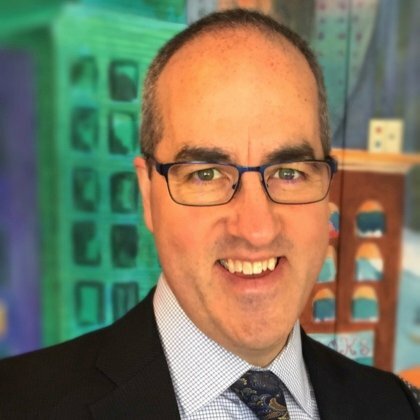 / / Mark returns to the Techshow faculty following a sixth consecutive faculty appointment at MILOfest, the nation’s leading conference exclusively for attorneys using a Macintosh in their law office. Victor J. Medina, managing attorney of Medina Law Group, devotes his practice to estate planning, helping parents and grandparents to leave their wealth to whom they want, when they want them to have it, and in the way they want. His clients include seniors, young families with minor children, families with special needs children of all ages, entrepreneurs with business considerations, and established families with dynasty goals. His philosophy of estate planning is based on a forward-thinking approach that focuses on passing on more than just financial wealth, but also spiritual, emotional, and intellectual values. Victor is a former president of the American Association of Trust, Estate and Elder Law Attorneys (AATEELA) — an invitation-only, national organization of top practitioners — and is a member of the National Association of Elder Law Attorneys (NAELA). Victor is also an active member of the legal community and is a former Vice-President of the Princeton Bar Association. He is a member of WealthCounsel, ElderCounsel and the Mercer County Estate Planning Council. Victor is licensed to practice law in New Jersey, New York, and Pennsylvania, and is accredited by the Department of Veteran Affairs to assist veterans in filing claims. Victor grew up in the Northeast and attended college and law school in Boston, MA. He lives in Pennington, NJ. Victor is married to Jennifer, a school psychologist in the New Jersey public schools, and has three sons, Aidan, Lucas, and Dylan. Victor speaks frequently to public and private groups on issues of estate planning, elder law, veterans benefits, and special needs planning. 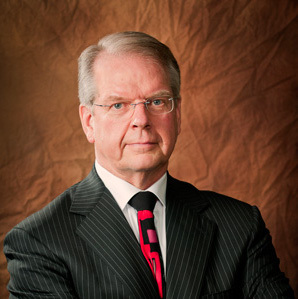 Bjorn is the managing partner of the Christianson TDS offices in Portage la Prairie, MacGregor and Gladstone, offices which have operated with the Christianson name since 1970. His current practice is focused principally on transactional matters in the areas of Farm Real Estate, Corporate, Commercial, Estates, Municipal Law, and litigation relating to those matters. Born and raised in and around Westbourne and Portage la Prairie, Bjorn has spent his working career in South Central Manitoba. His clients are the individuals, businesses, and institutions who live, work and shape the communities in the area. The concerns his clients bring him involve the acquisition, growth, and protection of their family, farm, and business assets. Evan is a 1990 graduate of Washington and Lee University and a 1993 graduate of the Pennsylvania State University, Dickinson Law. He has achieved an AV-Preeminent peer review rating from Martindale-Hubbell and is an active member of the York County Bar Association. Evan is also a member of the Pennsylvania Bar Association and the Pennsylvania Association for Justice. He is admitted to practice before all Pennsylvania Courts and the United States Federal District Court, Middle District of Pennsylvania. Evan currently lives in south-central Pennsylvania with his wife and daughter. In his spare time, he loves to dabble in tech (of course), brush up on his amateur photography and videography skills, and ski. 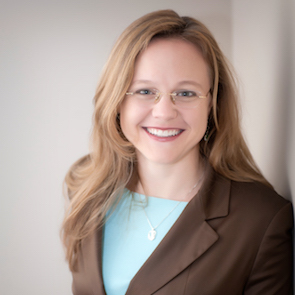 Julianna has been the Director of Operations for Medina Law Group for over 7 years. In. Addition to experience at a law firm, Julianna has been an operations manager for a financial services company, and run her own small business. 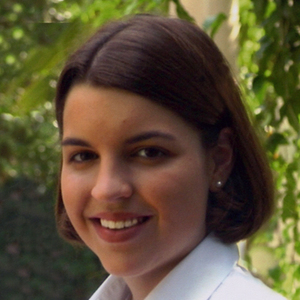 Among other law firm team leaders, Julianna is a model whose operational skills and techniques are often copied and emulated. An award-winning attorney, Steve has practiced law for 25 years and coached lawyers for more than 15 years. He built his practice into a million-dollar business using innovative law firm management and marketing strategies and skills. After selling his law practice, Steve joined the nation's premier practice management consulting firm, Atticus, as a shareholder. 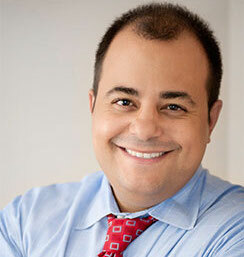 He is Certified Practice Advisor, guiding law firms as a consultant and coach. 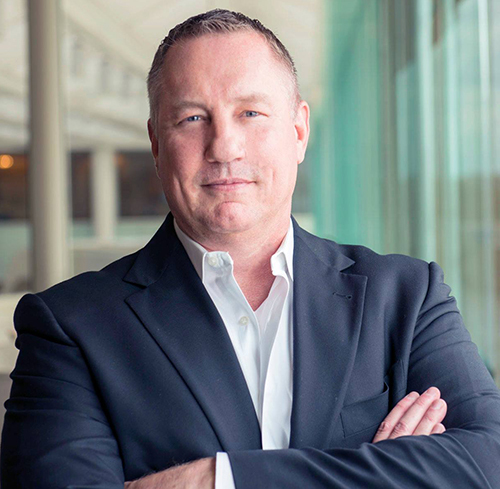 An inspiring and challenging educator, Steve has created several programs for leading attorneys to success, including the Double Your Revenue workshop (featured in LawyersUSA), the Practice Growth Program, and the Dominate Your Market program. Steve's most recent books, ‘The Busy Lawyer's Guide to the Laws of Practice Growth” and “The Busy Lawyer’s Guide to the Domestic Assistant Advantage” are available on Amazon. He is a contributing author to six additional books and was a national columnist for CCH magazine on practice management. In 2006, Steve won the National Small Law Firm Practice Innovation Award. 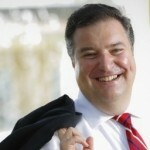 He is a frequent speaker at legal association events nationally. Brett Burney founded Burney Consultants to provide independent and expert consulting services to corporate executives and legal professionals. For legal professionals, Brett navigates firms of all sizes through e-discovery challenges and provides objective recommendations for litigation support tools and workflows. For corporations, Brett lowers costs associated with litigation by assessing their information governance readiness and providing recommendations on how they can proactively manage voluminous data stores. Brett is also a highly sought-after trainer and presenter for lawyers who seek to integrate Macs and iPads into their practice. Brett is an esteemed author and speaker on legal technology topics. 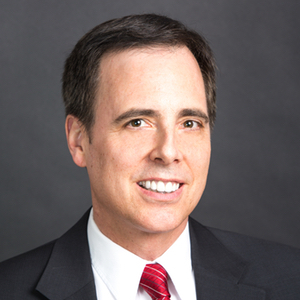 He has been a featured speaker at numerous legal technology conferences and served as Chair of the 2015 ABA TECHSHOW. Brett speaks regularly for local and state bar associations nationwide, and is routinely quoted in industry interviews for TechnoLawyer, Legaltech News, ABA Journal, and more. Prior to Burney Consultants, Brett Burney supported lawyers at the law firm of Thompson Hine LLP where he worked with litigation teams in building electronic document databases, counseling on e-discovery issues, and managing the technical responsibilities of presenting evidence at trial.